Outfit II - Gym Time! What's up guys! If you've been following along on my Instagram and "Insta-Snap-Stories" then you know we are back on the road again. We are going to be in the West Coast (Vegas + Los Angeles), Atlanta, and Asia within the next two months for projects, weddings, and family visit. It gets pretty hectic packing in and out of suitcases so it's very important for me to have everyday essential staples I can work with. I'm always on the look-out for the latest trends and good quality pieces that won't hurt my wallet. This season, JCPenney has partnered with Michael Strahan to bring an athlesiure line that is everywear for everywhere. I decided to check out the MSX by Michael Strahan collection and picked up my favorite pieces. Outfit I Street Style - The highlight of this look is the bomber jacket. I paired this versatile jacket with a henley shirt and ripped jeans. Keeping the look sharp and minimal - I finished off with accessories like my new customized mirror Ray-Bans, white Adidas Stan Smith, and a chronograph watch. This monochromatic outfit works really well together with all the pieces. Outfit II - Gym Time! 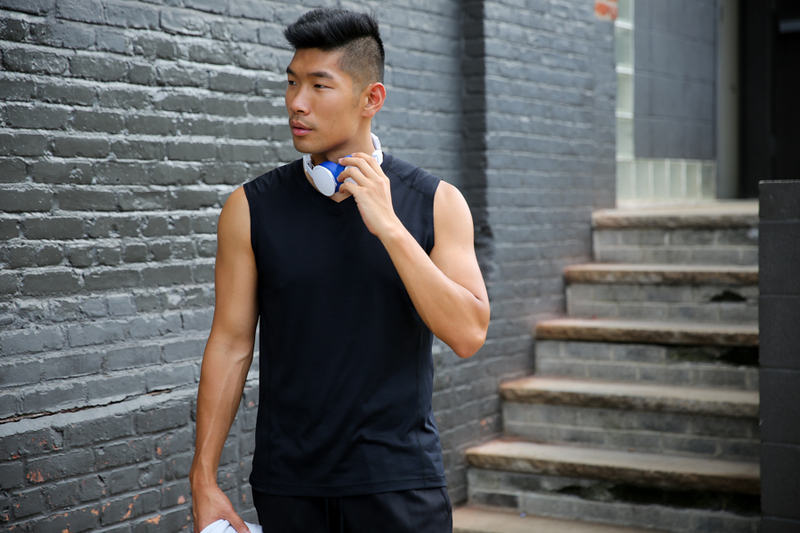 Let's put the Athlete in Athleisure. Who said you can't look sharp and stylish at the gym? The trick is to have fitted and minimal styling. No need for big logos, graphics, and words all over your gym clothes. The jogger pants gets the job done AND it comes with a zipper pocket (such a huge plus!). I also love wearing jogger pants when I travel because it's comfortable and stylish. Of course, don't ever forget Bluetooth wireless headphones when you head to the gym. Both looks offer the stylish yet functional clothing to look and feel good. 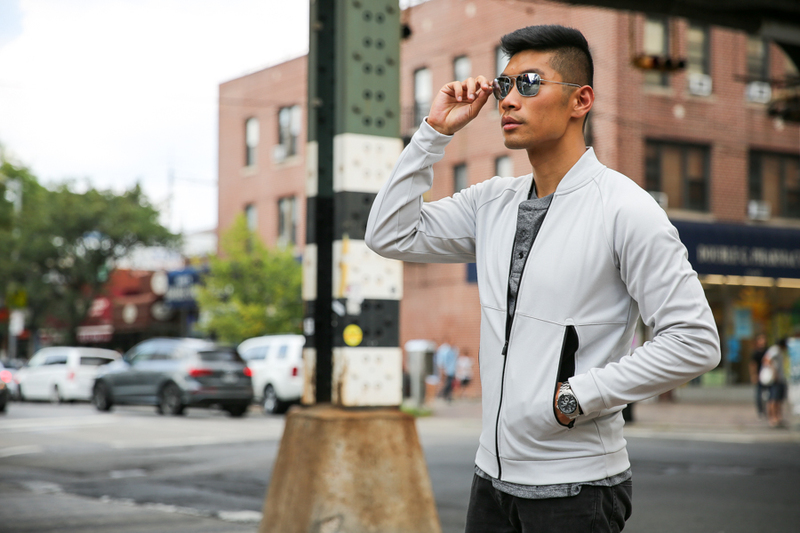 Transitional pieces like the tech-knit bomber and tech-knit jogger pants have easily become an everyday staple. 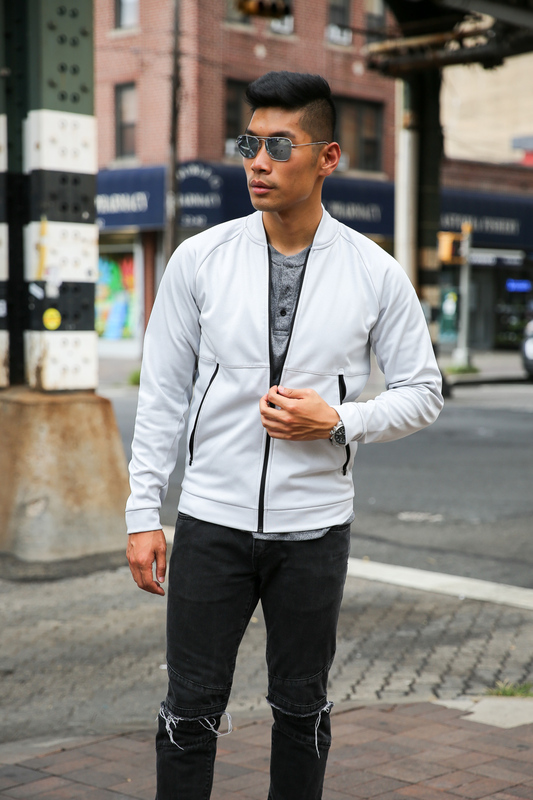 This athleisure style allows guys like us to easily mix performance wear with casual wear to meet the high demands of the day in comfort. Let me know what you think of the looks! Which one do you like better?